When improving jobsite productivity means providing patients with urgent care, Graham turns to Fieldwire. 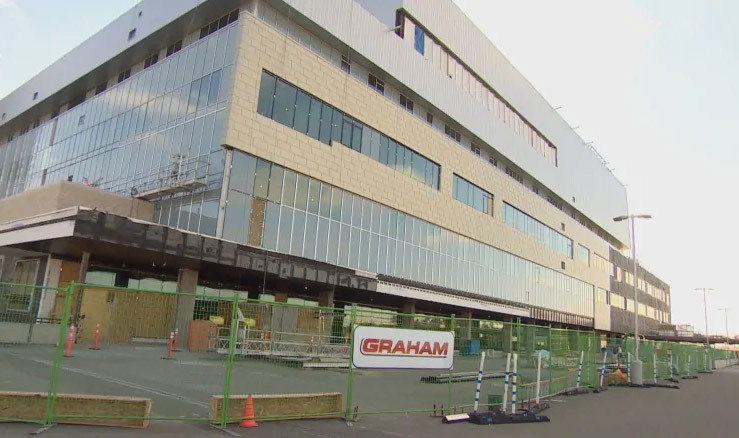 Graham Group, one of Canada’s largest construction companies with over $2.2 billion in annual revenue, is close to completing Saskatchewan’s first children’s and maternal hospital. Opening in 2019, the new $285-million Jim Pattison Children’s Hospital will offer state-of-the-art equipment and facilities for families from across the province. With women and children eager for treatment, it’s critical that Graham stays on schedule for construction. Graham’s Quality Control Coordinator, Stefan Gonari, and Document Control Manager, Robin Beck, knew they had to improve job site productivity to open hospital doors on time. That’s why in 2015 Graham chose to implement field management software that could streamline job site coordination, improve collaboration, and ultimately, prevent delay. “We first started looking for software, played around with a bunch of platforms, and found Fieldwire to be the most compatible and user-friendly. Even the oldest people in the field - who usually want nothing to do with technology - use Fieldwire,” said Beck. Gonari is working alongside the architect to complete the final punch list for this seven-story project. With Fieldwire’s mobile platform, Gonari can easily conduct punch on-the-fly; using Fieldwire tasks to track deficiencies and alert sub-trades in real-time. As a result, Gonari says Graham’s inspection process is much smoother and faster than ever before. “With Fieldwire’s real-time functionality, I can markup a deficiency on the fourth floor, go down to the second floor, get notified that the issue has already been fixed, and then verify it – all from my iPhone in minutes.” Before Fieldwire, this process involved a lot of busy work and lag time. “I don’t know how we ever did it manually,” said Gonari, who has up to 15,000 punch items on a single report for a project of this size; items he needed to manually enter into an Excel spreadsheet prior to using Fieldwire. With deficiencies in the thousands and only four Graham employees managing the items, Fieldwire became vital for logging and tracking each punch item’s status. From a tablet or smartphone, Gonari can pin a task to a plan, assign it to the right craftsperson, add start and end dates, and mark its priority. “The tradesperson responsible is notified in real-time and I’ll get an update once the task is marked as complete,” said Gonari. Fieldwire has not only eliminated calls and texts but also the need for paper in the field, as each drawing can be uploaded directly into Fieldwire’s platform. This is a huge time and cost saver for Beck, who had 780 drawings to manage on this project. She said that on a project of this size and complexity, she’d need to reprint revised drawing sets at least five times, and drawings would be out of date the moment they were printed. However, with Fieldwire’s digital plan management and automatic version control, this lengthy and expensive process was eliminated. Now, in seconds, Beck can upload unlimited drawings into Fieldwire for everyone to access from any device, even when they’re working offline. She said, “paper copies of plans have become irrelevant,” so that workers go onsite without bulky and expensive materials. Along with plans, Beck and Gonari upload all of Graham’s shop drawings and site instructions to speed up operations and prevent costly mistakes. Every piece of information – from a redline to a detail call-out on a floor plan – is in Fieldwire for each trade to see. Gonari says this eliminates the need for trivial questions that prolong work – all of which can be answered in the click of a button. “Fieldwire has become our main confirmation point for what is in contract, and what is in each trade’s scope. It is our quick reference point for people in the field. There is no excuse to not complete work quickly or waste time on back-and-forth emails.” When Gonari needs a quick response to an urgent matter, he uses Fieldwire’s instant messaging feature to collaborate in real-time. 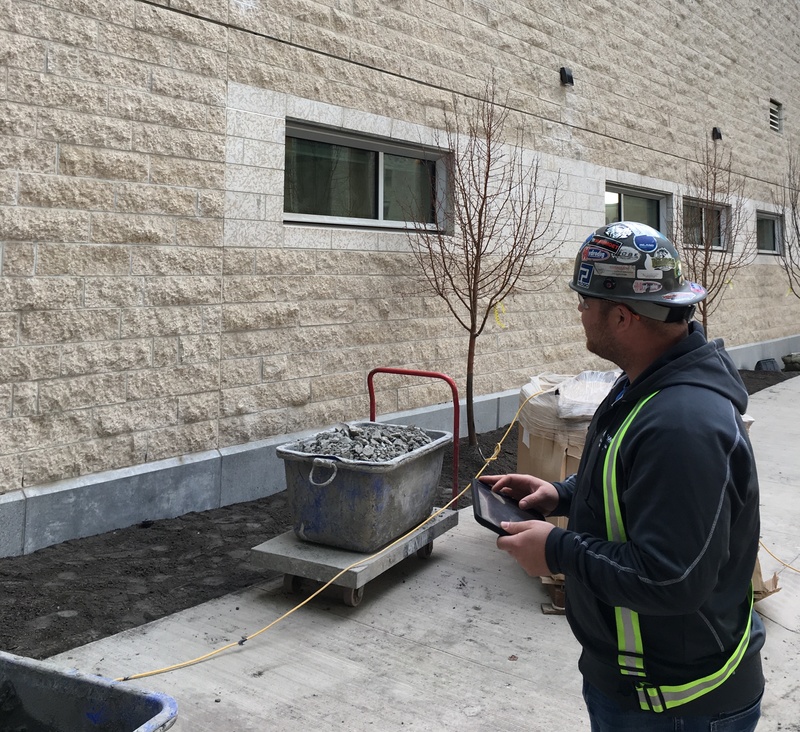 Due to the efficiencies gained with Fieldwire, the Jim Pattison Children’s Hospital is shaping up to be a major success for Graham Construction. As the Saskatchewan province eagerly awaits project completion, Graham will continue to use Fieldwire to track and communicate any last-minute changes.